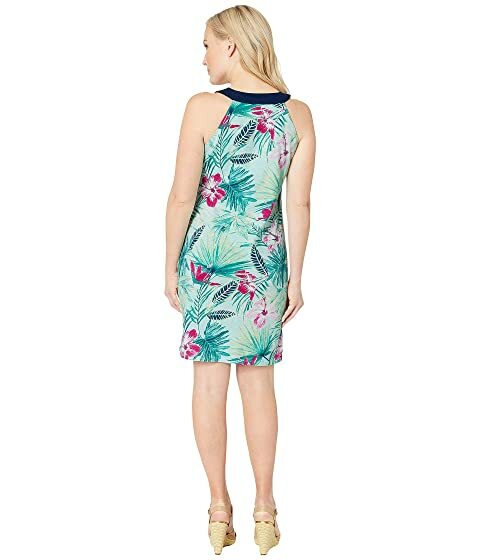 Make a lasting impression this season with the Tommy Bahama® Kayo Blossoms Sundress. 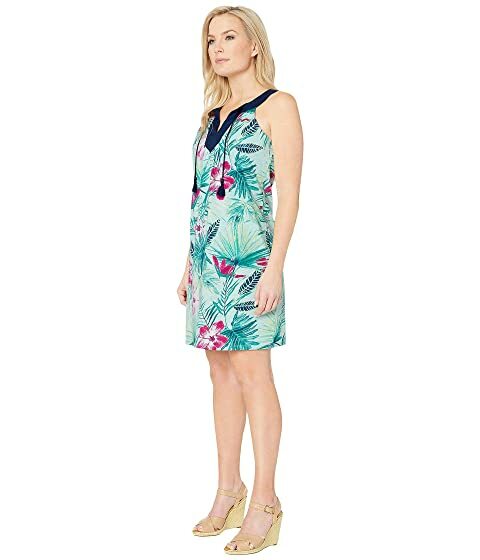 Shift dress features a vibrant tropical print on a cotton-blend fabrication. Split neckline with lace-up front and tassel details.